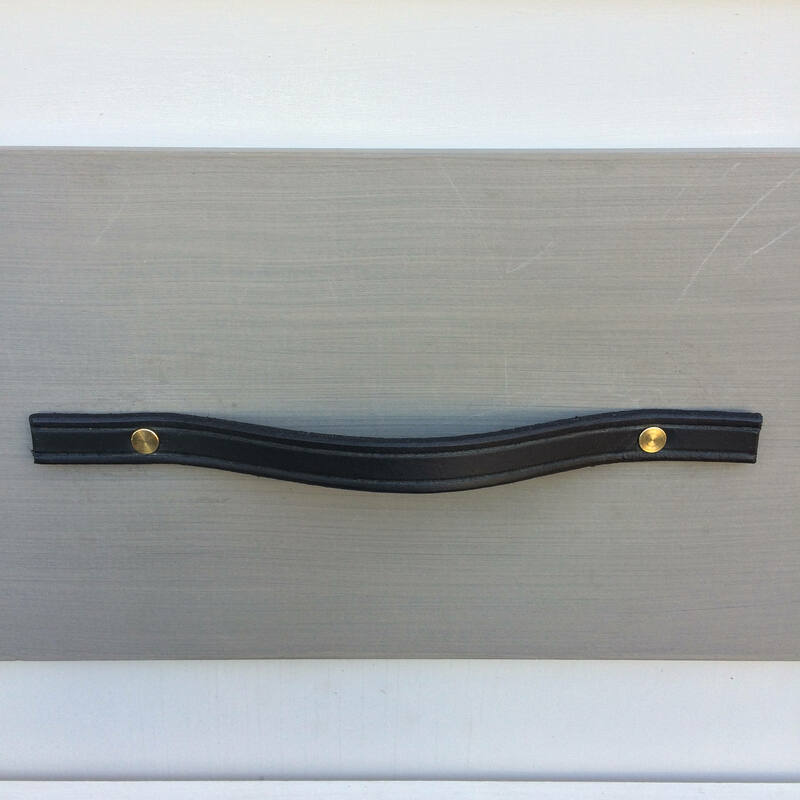 Hardware finish color: br = brass, nk = nickel, cp = copper, abr = antiqued brass and bk = black. 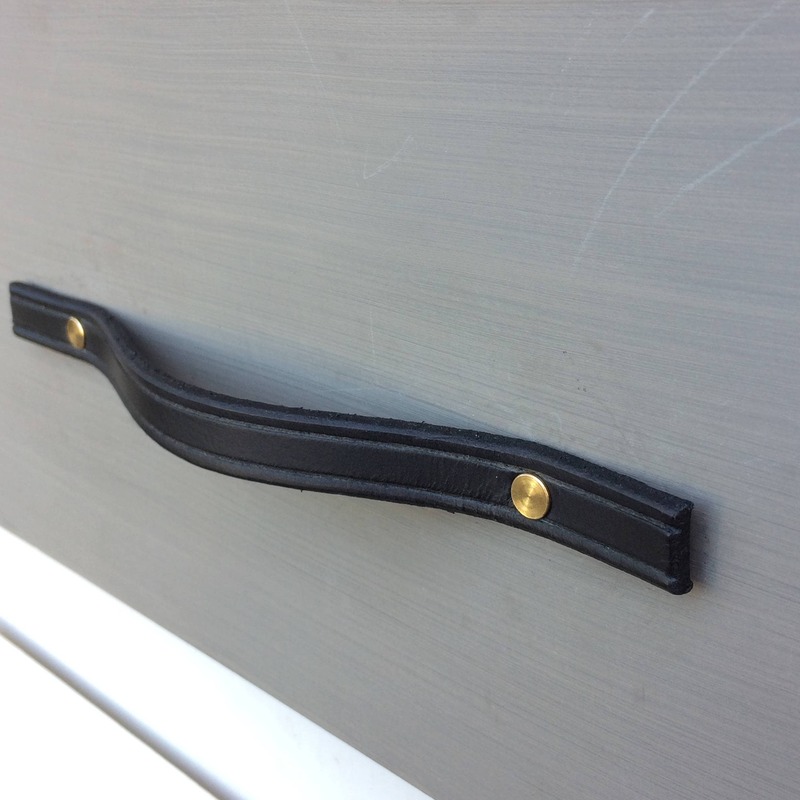 This drawer pull is made up of one piece of, genuine top grain, hard leather. This version is grooved with no top stitching. 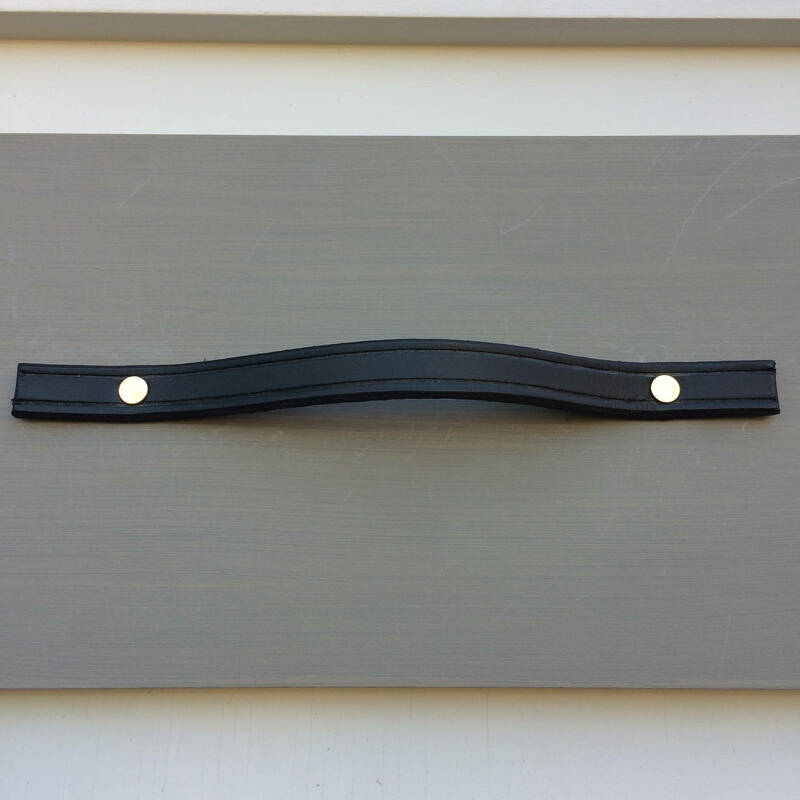 It comes with a set of posts that are 1/2" long and slide into a 5/32" diameter hole. Please specify the thickness of your drawer or base material which matches the proper screw length. Thank you for helping me send exactly what you need.